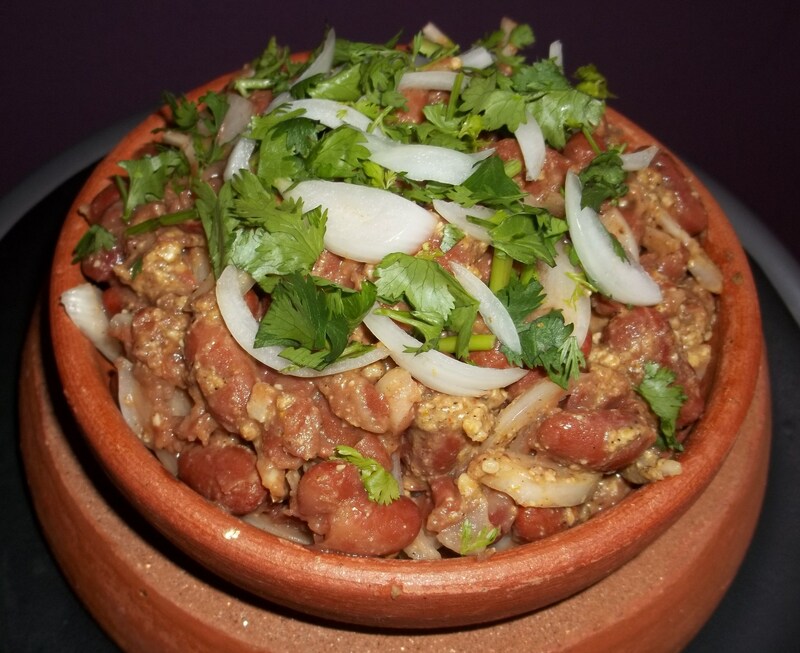 Lobio (Georgian: ლობიო), is a popular Georgian dish made with kidney beans and usually eaten with Mchadi and marinaded vegetables. The Georgian word ‘lobio’ means ‘beans’. 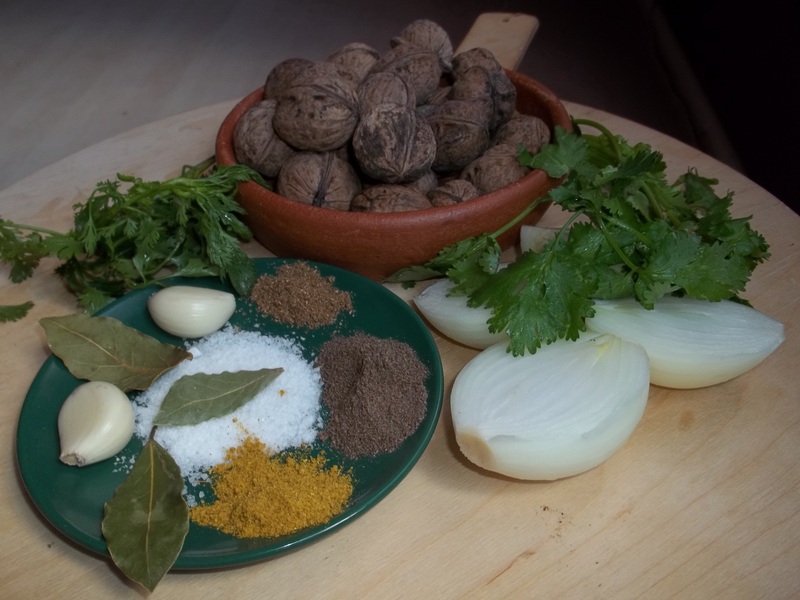 There are a number of varieties of this dish and in this recipe we show how to make a particular Georgian favorite – lobio with nuts. 400 grams of dried red or white kidney beans. 200 grams of walnuts, 2 medium sized onions. 30 grams of fresh green coriander (for garnish), 2 cloves of garlic, salt, 1 tsp of dried coriander, half tsp of dried red pepper (optional), half tsp of dried Blue Fenugreek, 3 bay leaves, 1 tsp black pepper, 1 tbs of red wine vinegar and 2 tbs of oil. 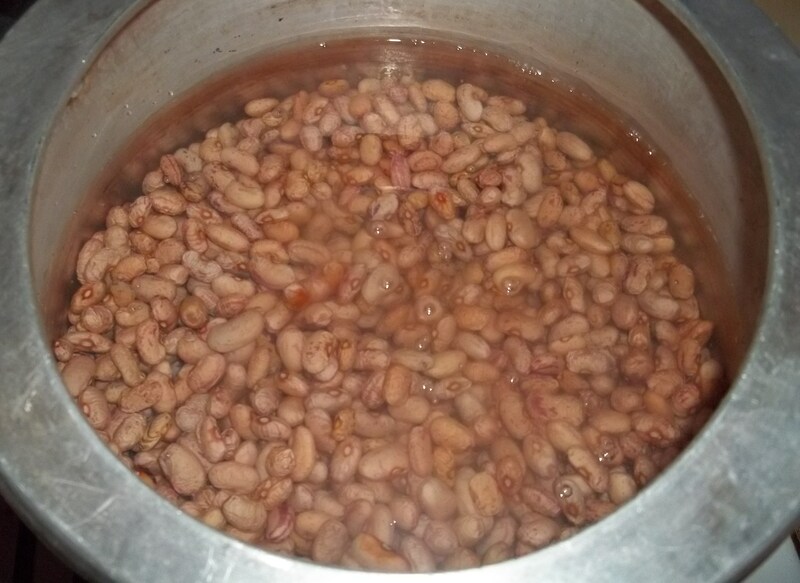 Soak beans in cold water for two hours prior to cooking. 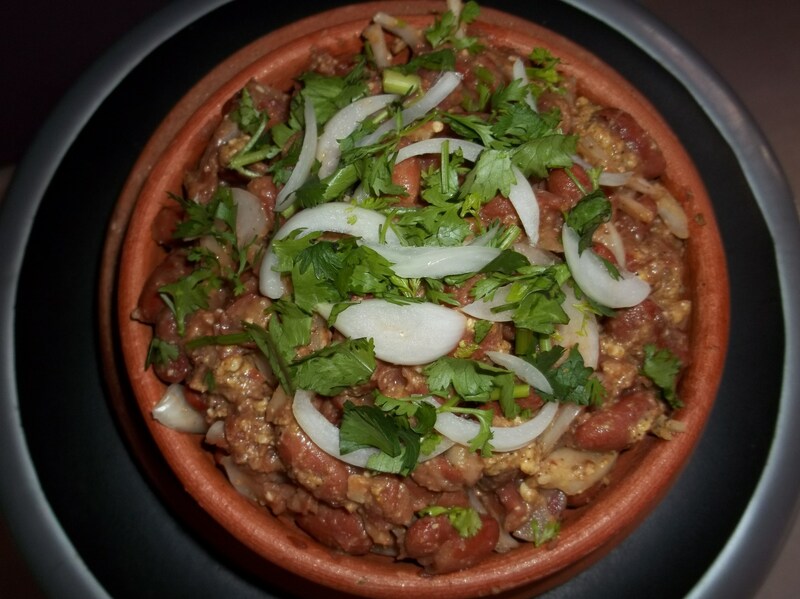 Drain water and add beans, bay leaves and salt to a deep pot containing 1.5 liters of water. Cook on a medium heat until the beans are tender. Chop the fresh coriander and onions. 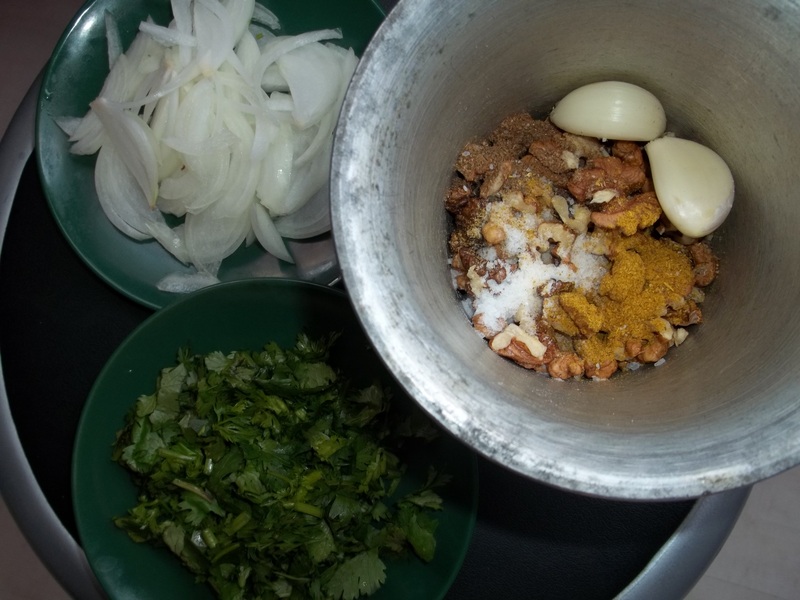 Add the dried coriander, Blue Fenugreek, garlic, black pepper and a pinch of salt to a mortar. 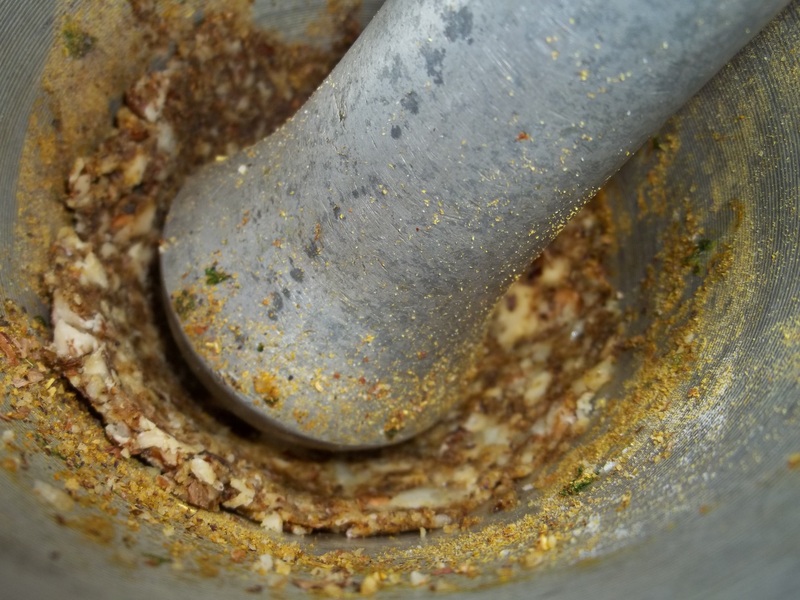 Grind the ingredients with a pestle. 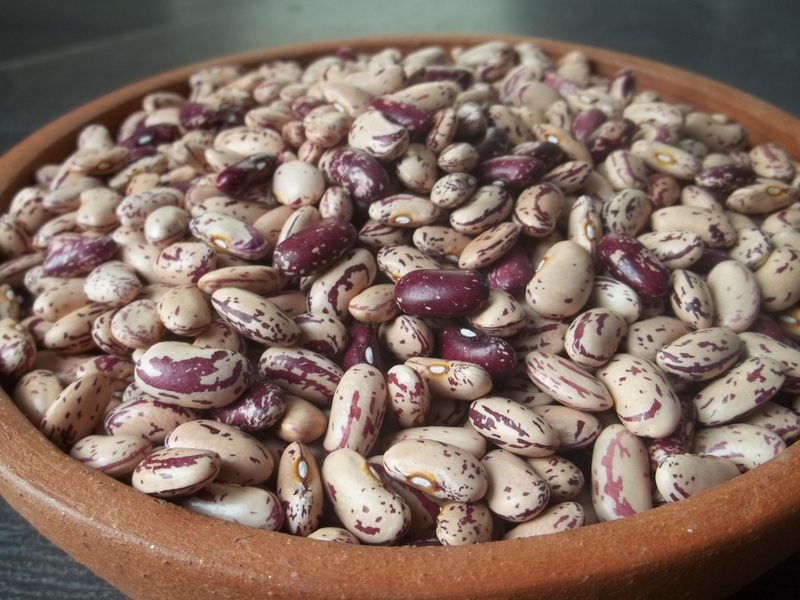 Drain the water from the cooked kidney beans into a separate bowl. Add a little of the kidney bean water, together with 1 tbs of red wine vinegar and 2 tbs of oil, to the nut and spice mixture you have ground in the mortar and stir. 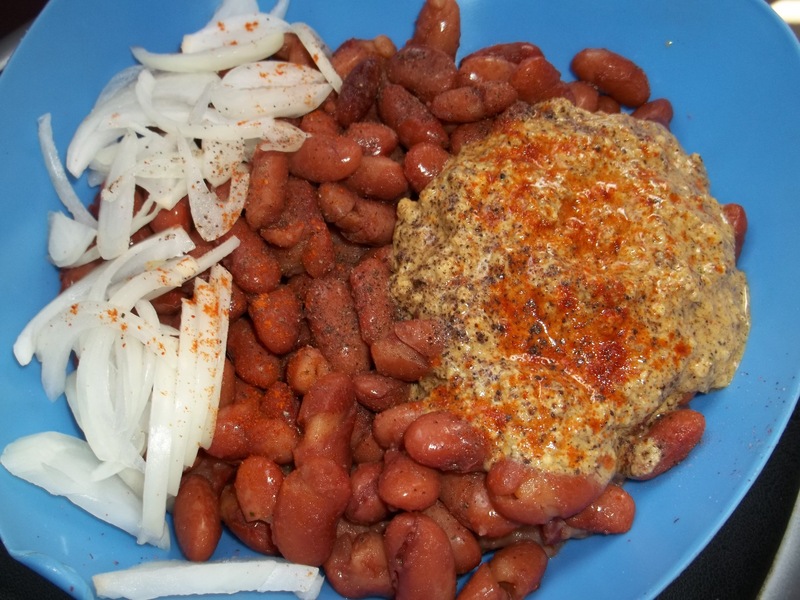 Add the nut and spice mixture, cooked kidney beans, chopped onions (leave some to use as garnish) and dried red pepper (optional) to a bowl and mix carefully. Do not mash the beans. Serve hot or cold. We garnished ours with fresh coriander and onion. Enjoy your lobio with nuts!